The thing with motherhood is that you expect to be in this “happy mommy club” as soon as you become a mom, but the reality is, you often find yourself utterly alone, overwhelmed, with no one to really talk to. How can you be honest about your feelings when you feel like you’re doing something wrong? When you’re afraid others will judge you for struggling to do that one thing you should be most grateful for? No one prepares you for THIS kind of motherhood. But today I’m here to tell you that THIS kind of motherhood is real. And it’s something everyone experiences even though not everyone may talk about it. This is motherhood and we need to start discussing honestly about it. So I’ll start. 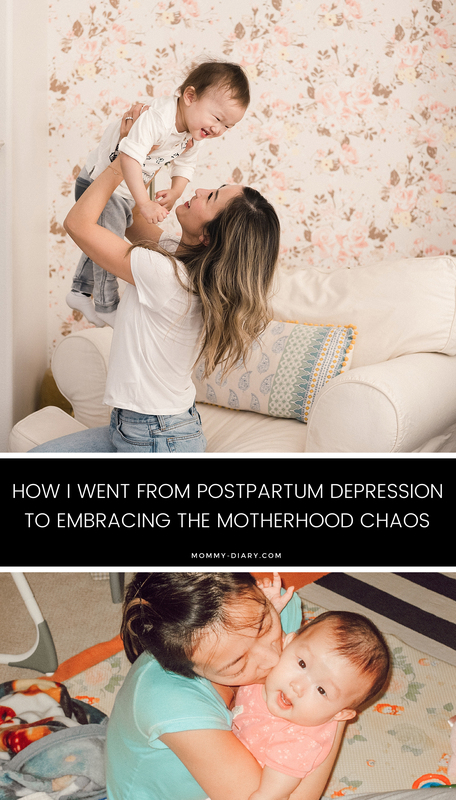 If you want to read more about my postpartum depression journey you can begin here. I talk about it often on my blog and Instagram so I won’t go into details here but I was once that sad, lonely and confused mother of two kids. I needed therapy and anti-depressants to do what others do so naturally. (If I had to do it again, I’d avoid medication and turn to holistic healing methods. But more on that later.) I learned that I’m not the best SAHM and that I need to stay creative to be a happy and fulfilled mom. Soon I learned that the work/mom life balance is another beast that I’ll never master. Let’s just put it this way. Nothing in motherhood is easy. Stay-at-home mom life is hard, working mom life is hard, work-at-home-mom life is hard. Everything is hard because we’re entrusted with not only creating and bringing new lives into the world but also keeping them healthy and alive in more ways than one. We’re responsible for raising little infants into big humans who are physically, emotionally and mentally healthy. We now have to make sure their food is free from pesticides, GMO’s and other artificial junk. Their IQ isn’t everything, we have to think about their emotional intelligence. Ivy leagues are great, but not if they grow up to be entitled and spoiled little brats. And keeping their screen time to under one hour as the doctor suggests? Yeah forget it. I hear doctors’ kids too, spend hours in front of their ipads. Everything is easier said than done so don’t judge. No mom has it together. If she acts like it, she’s either lying or just having an exceptionally great day. We all share highlight snippets of our lives on social media, only using the cleanest corners of our homes. So don’t compare your life with lives on social media. It’s not entirely fake, but it’s fully curated. We are all doing our best so don’t judge other moms. And the SAHM vs Working mom debate? There’s no need to engage because both are f*king hard. Just smile and say you’re a mom, I’m a mom. We’re all good. Let go of perfectionism and control. Or you’ll never reach happiness in motherhood. Scientific/psychological/early childhood research is great but rules are meant to be broken. Rigidity is the hardest habit to break. Take advice from other moms, google research and parenting books but know that sometimes nothing will work. It’s okay. Just cry it out and keep moving. Your husband is your biggest ally. Don’t kiss up to him because you’re weak or anything, just be nice because you need all the help you can get. You never needed a man so much in your life until motherhood and that’s okay. At certain phases of motherhood, it’s all about survival. Wine, ice cream, crying, journaling, binge watching, extra work out or no work out- it doesn’t matter. Just survive, one day you’ll make it out the other side. Be okay with being unorganized, forgetful and not having things together. Don’t fall into the trap of “before I had kids I used to….” It doesn’t matter. We all had lives before our children and we were never a hot mess like this. Learn to embrace and love your hot mess self. Embrace the chaos. No, really- just embrace the mess and the craziness. Laugh at yourself when you forget another doctor’s appointment or forget your kids’ picture day or forget to pack your kids’ lunch on their field trip day. I’ve done them all and my kids are alive and well. Learn to enjoy and love this version of yourself because you’re more beautiful and lovable than you ever imagined. Just ask your kids, you are their world. Keep your head high and be the queen you’re meant to be. Don’t show your kids any less because our daily actions and words will one day shape their adulthood. You’re doing great mama- you got this. If you ever need a reminder, just read through my blog or IG. I’ll keep reminding you that there IS light at the end of that tunnel. Love you E. You got this mama. Can’t wait to meet baby Frankie.